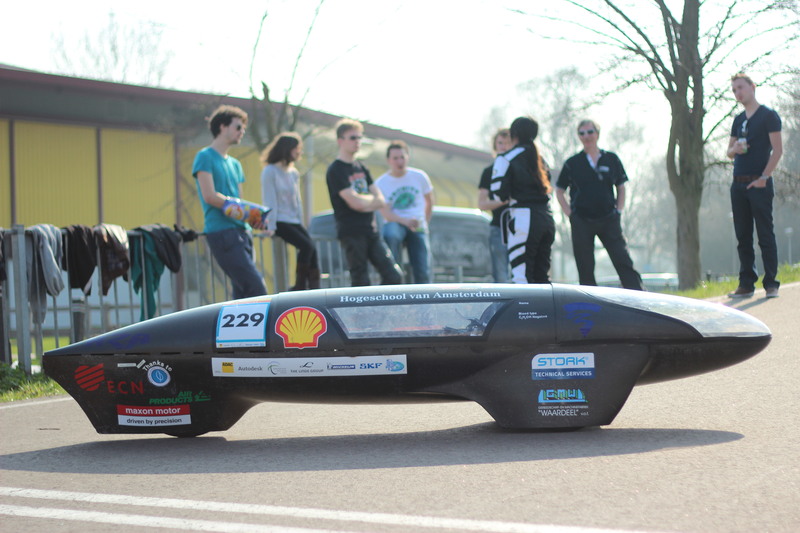 Ever since 2011 hydrogen car H2A takes part in the Prototype Hydrogen category of the Shell Eco-marathon Europe. 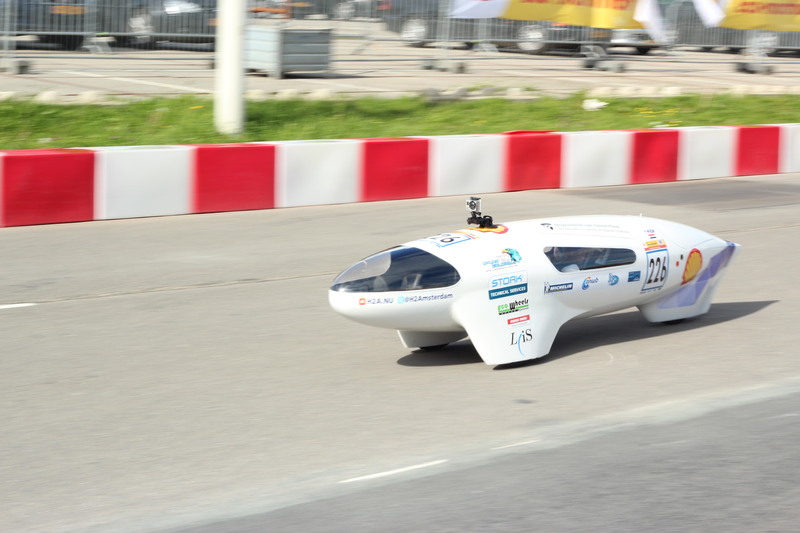 Prototype vehicles have an aerodynamic design using three wheels and a lightweight body. 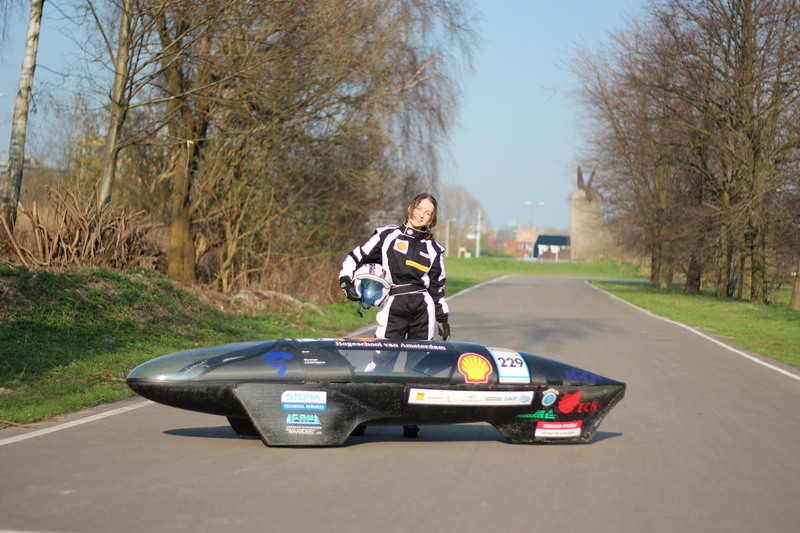 The H2A is a hydrogen driven car. 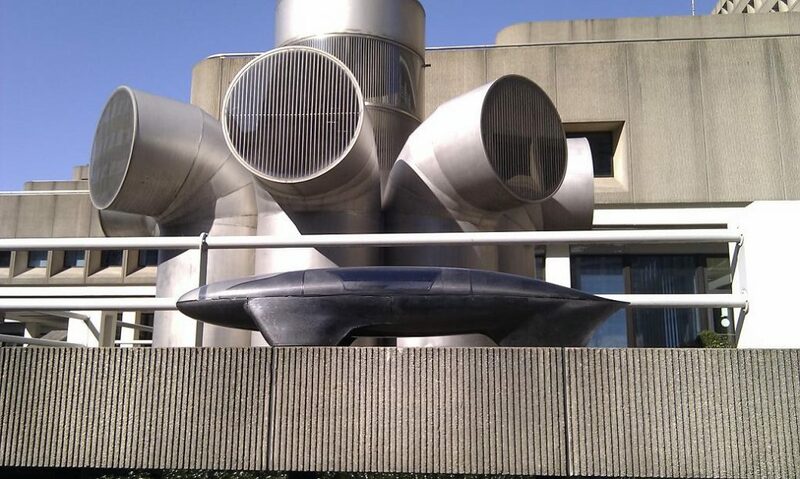 It has a fuell cell system which gains electricity from the hydrogen which is then stored in super capacitors, a sort of rechargeable battery which can be charged and uncharged a a fast pace with high efficiency. 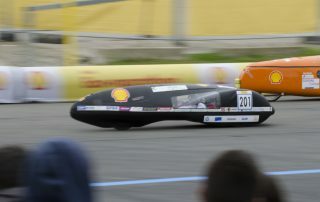 The electro motor uses this power to drive the car. 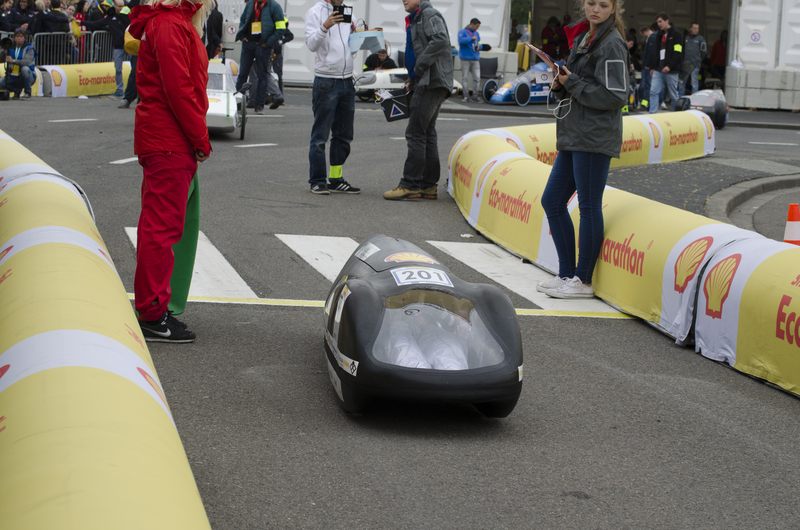 As if bad luck doesn’t run out, the third consecutive year H2A was pestered by technical problems. 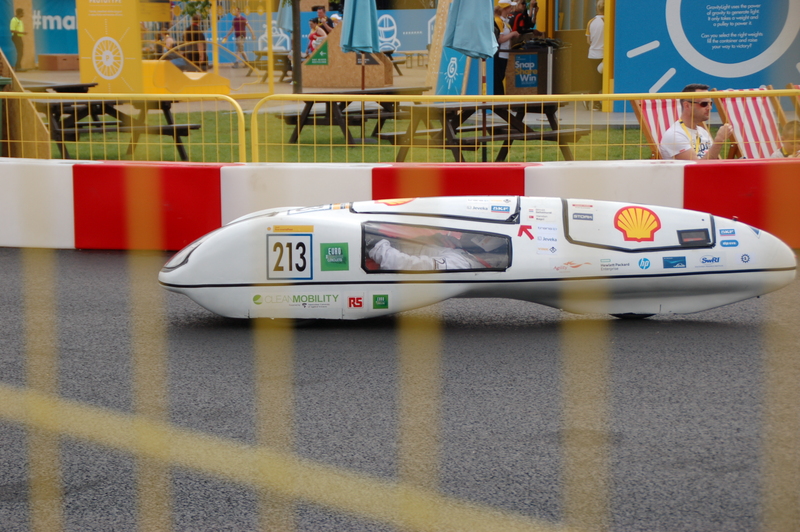 With its fuel cell system not working in the way it was supposed to H2A didn’t manage to finish the required ten laps. During one try the H2A even rolled over in a sharp corner. Luckily, the driver was unharmed. 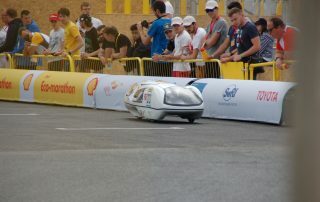 The Shell Eco-marathon Europe 2017 was held at the Aquatics Centre London in England. 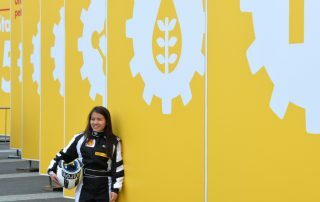 This year, again, H2A was haunted by technical malfunction which -in contrast to last year- had H2A drop out of the competition without having set a score. 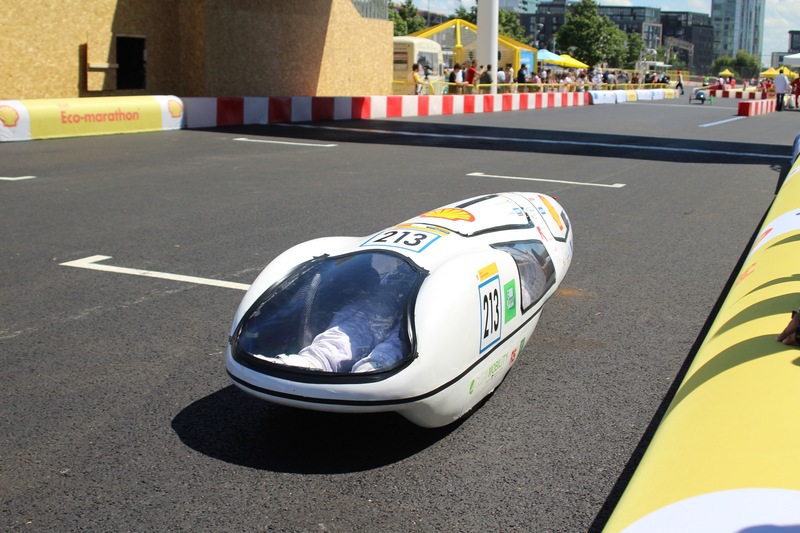 The Shell Eco-marathon Europe 2016 was held at the Aquatics Centre London in England. 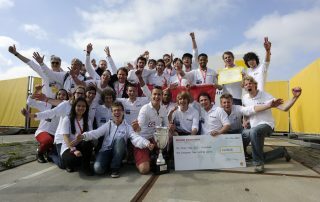 In a week where everything that technically could go wrong did go wrong, H2A eventually managed to finish second place. 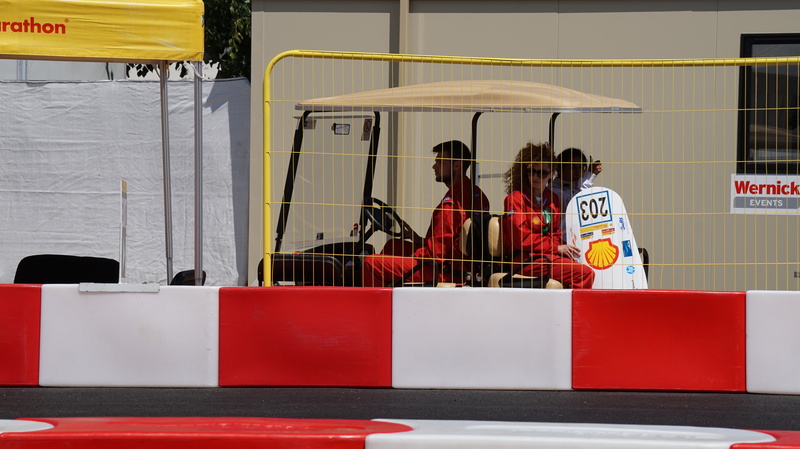 With an alternative steering compartment it managed to finish the ten laps within the given time. 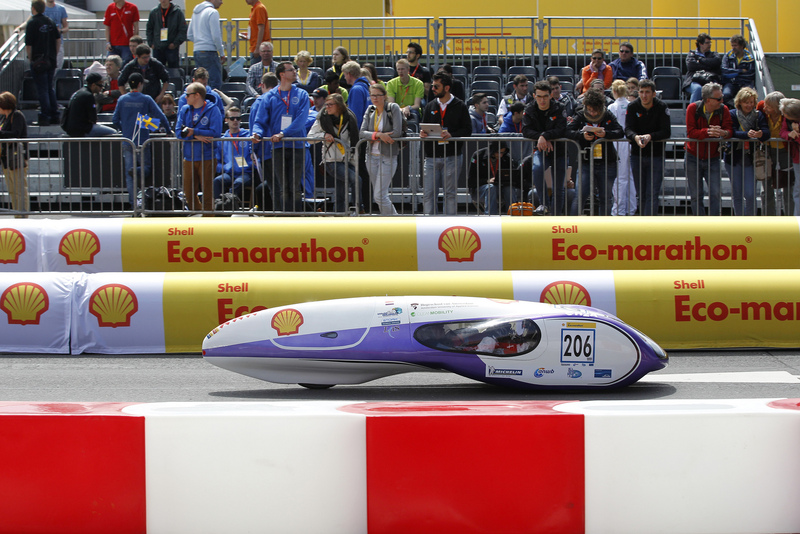 The Shell Eco-marathon Europe 2015 was held at Ahoy Rotterdam in the Netherlands. 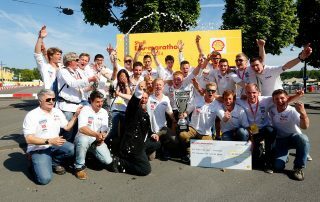 After the 2013 championship H2A successfully defended its title by driving a score of 3810 kilometers to a single liter of gasoline (official score: 428,5 km/kWh). 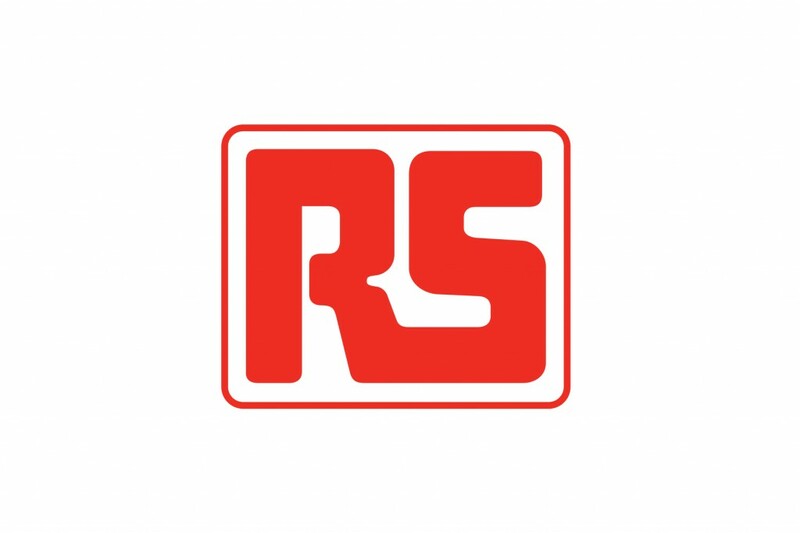 Changes to this years car were the front wheel steering system and the overall improved geometry. The Shell Eco-marathon Europe 2014 was held at Ahoy Rotterdam in the Netherlands. 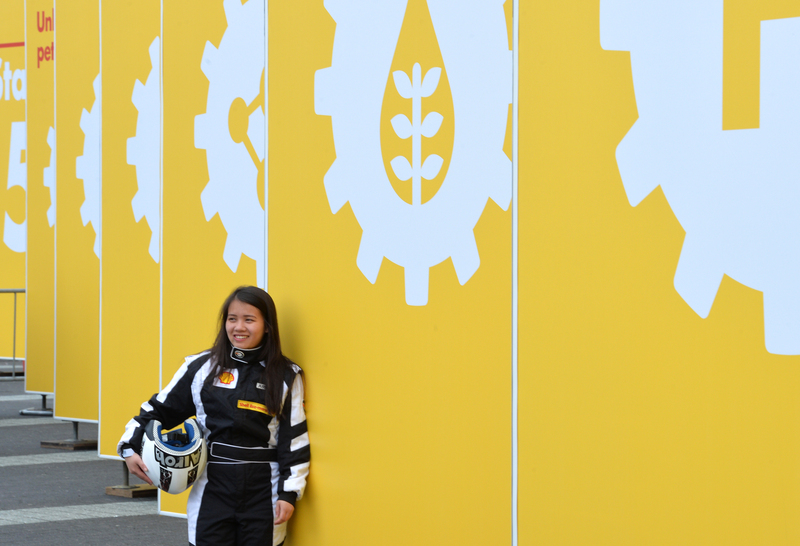 This year a whole new body was designed and build. 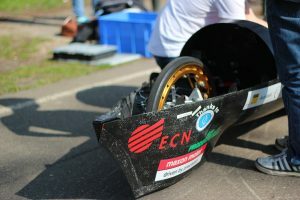 Next to aerodynamic advantages a new body was needed due to a change in competition regulations which now stated a car should steer using its front wheels. 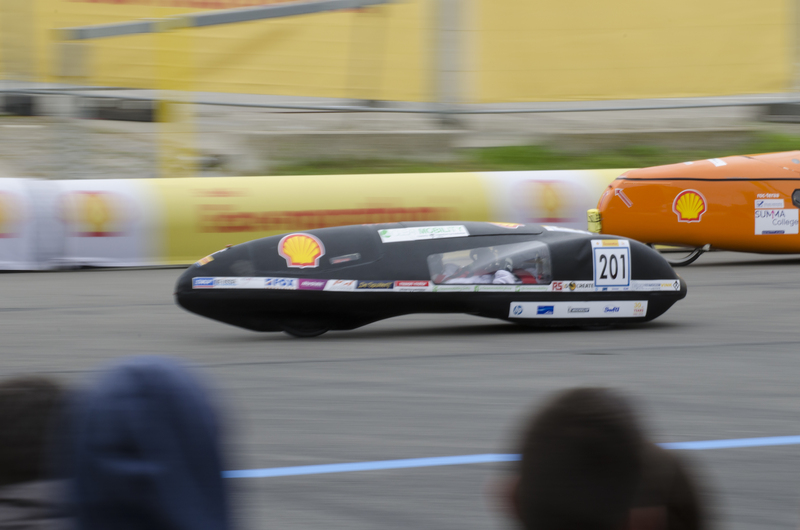 Next to the body the whole electrical system was upgraded which together with the fuel cell system let to the first place with a score of 3010 kilometers to a single liter of gasoline. 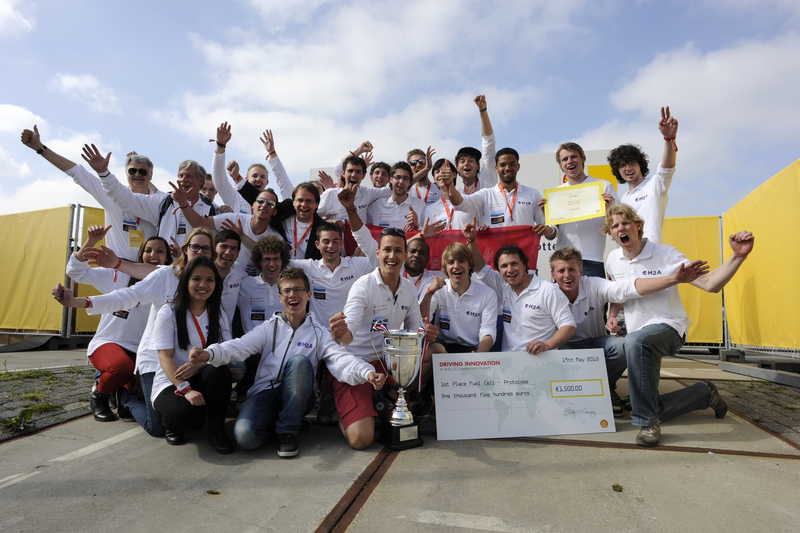 The Shell Eco-marathon Europe 2013 was held at Ahoy Rotterdam in the Netherlands. 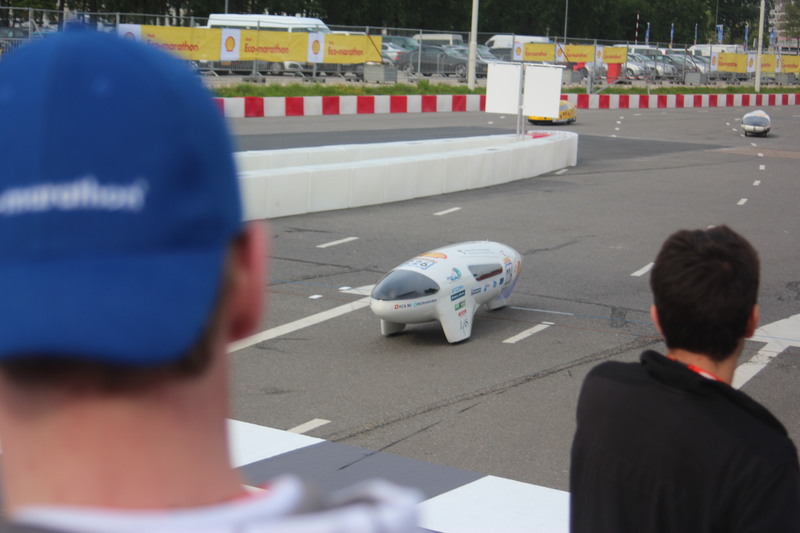 At the first edition of the Shell Eco-marathon Europe in Rotterdam the all new hydrogen car H2A managed to set its first ever official score in the Prototype Hydrogen category. 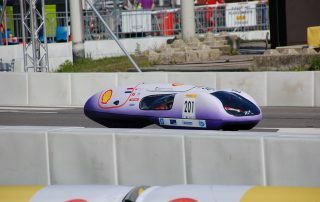 With an efficiency of 1 liter gasoline to 2.321 kilometers not only did it finish sixth place but it also improved on the efficiency record set by Dutch teams. 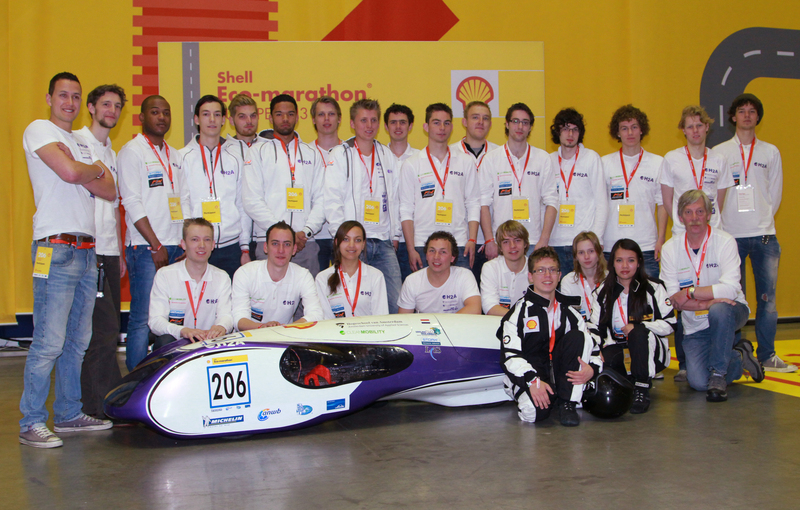 The Shell Eco-marathon Europe 2011 was held at Ahoy Rotterdam in the Netherlands. 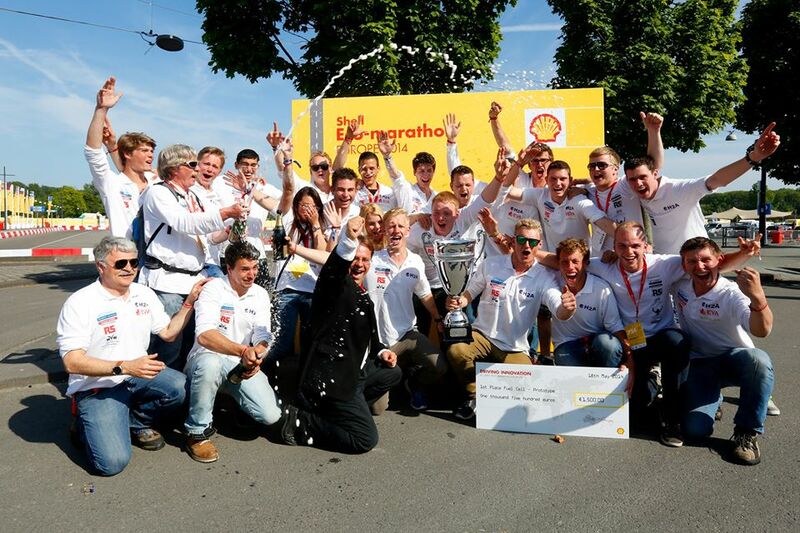 This year marked our first entry in the Shell Eco-marathon Europe. 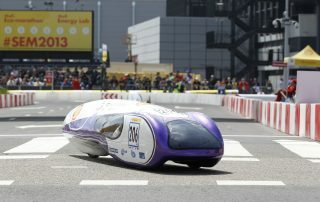 The team started from scratch and worked hard to build an entirely new car, both body as well as the fuel cell system. 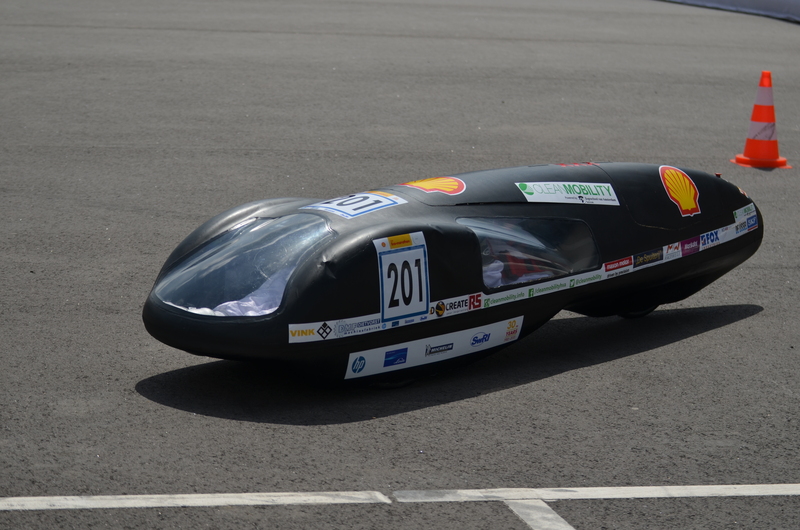 Unluckily for the team the H2A used too much hydrogen whilst driving that the tank was depleted before it was able to finish it’s ten laps. 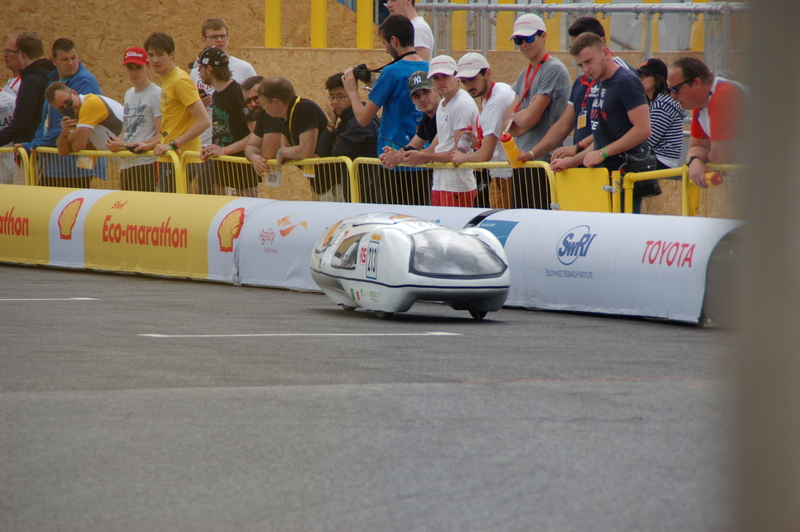 This was due to the innovative back wheel (with bearings in the rim) which used up too much energy. 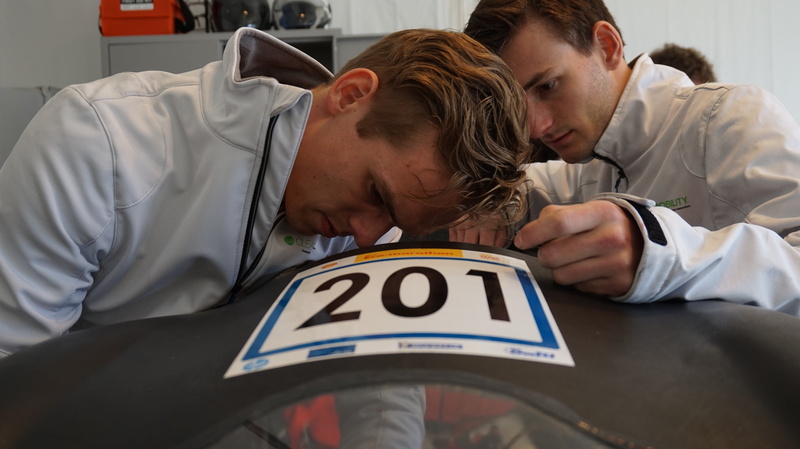 Still, the team was happy with their overall performance during this first participation. The Shell Eco-marathon Europe 2012 was held at EuroSpeedway Lausitz in Germany. 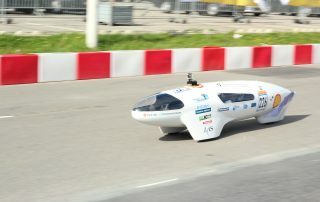 During the 2012 event the team has achieved its first successes: a sixth place, a Dutch efficiency record and a vehicle presentation for Queen Máxima of the Netherlands. 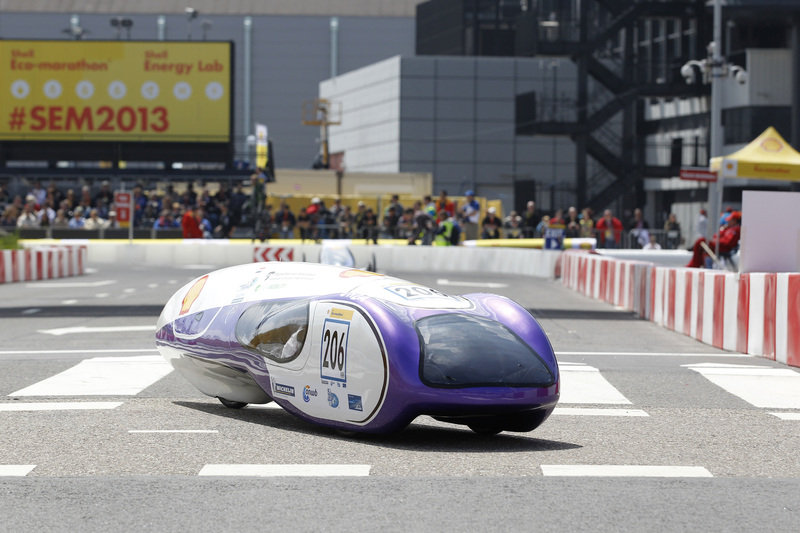 In 2013 this success was surpassed by winning the European championship and setting the Dutch efficiency record to 342 km/kWh [around 3042 km/l Euro95]. 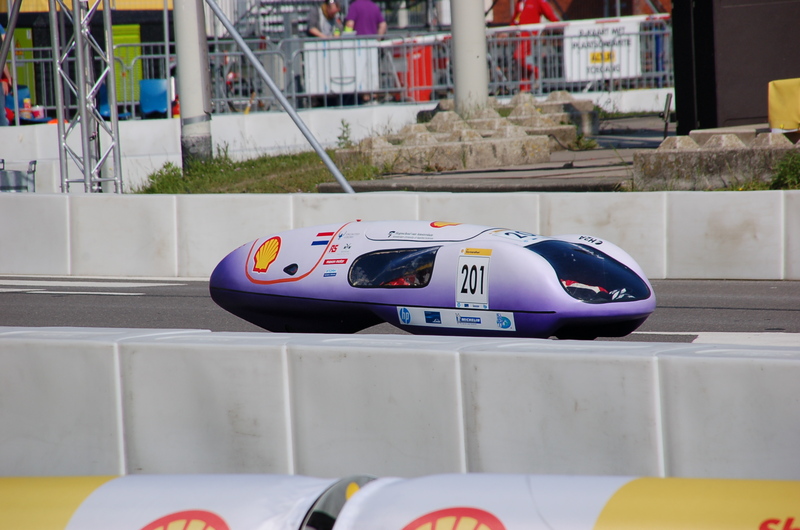 During the 2014 race the H2A again finished first place improving its Dutch efficiency record to 3820 km/l Euro95. Unluckily, the winning streak ended in 2015 when H2A encountered numerous technical difficulties but did eventually manage to finish in second place. 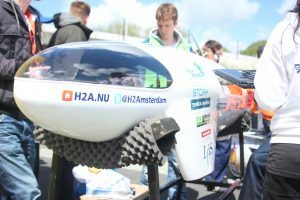 Though that wasn’t the end of it as both 2016 and 2017 saw H2A retiring early due to, again, technical difficulties.